Richard Lim is the Senior Consultant Psychologist with TASE. His organizational consultancy and training specialty is in the application of the science of focus, thinking, communication and team leadership for the achievement of excellence. Richard provides leadership development work with very diverse organizations. In more than 15 years of leadership performance consultancy, Richard has worked with leaders and senior executives from multi-national companies like Microsoft, Coca Cola (Indonesia), JP Morgan, SIA, OCBC, Continental Automotive, Shell, Lucent Technologies, Motorola, Barclays Capital, National Panasonic, Fujitsu, Courts; International agencies like The Salvation Army, YMCA, Outward Bounds and World Vision; numerous government organizations and community institutions. Dr. Lim is also an active contributor to the development of staff and research in National University of Singapore, Nanyang Technological University, and BINUS. He was an Adjunct Professor at Nanyang Business School (NTU) on management and leadership. 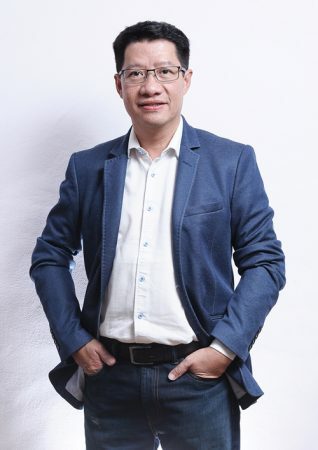 Richard is the current President of the Psychotherapy Association of Singapore and an advanced doctoral candidate in the Professional School of Psychology, California. Richard graduated from the Graduate School of Medical Studies, National University of Singapore. Richard has given frequent media interviews on his professional works to The Straits Time, and local and overseas TV and radio programs.